In today’s world, people are suffering from different types of diseases. Though, they are regularly visiting the doctors and taking medicines their diseases are not healed properly. No matter, how much there be increasing numbers of hospitals, doctors and medicine but there is no decreasing ratio of patients. It clearly shows that real health cannot be acquired from the hospital or any other outer sources because real health is hidden within us. There can be perfect healing, only if natural immunity is strong. People keep taking medicine and destroy natural immunity, thus there are many cases that there is increasing numbers of diseases one after another due to intake of allopathic medicines. 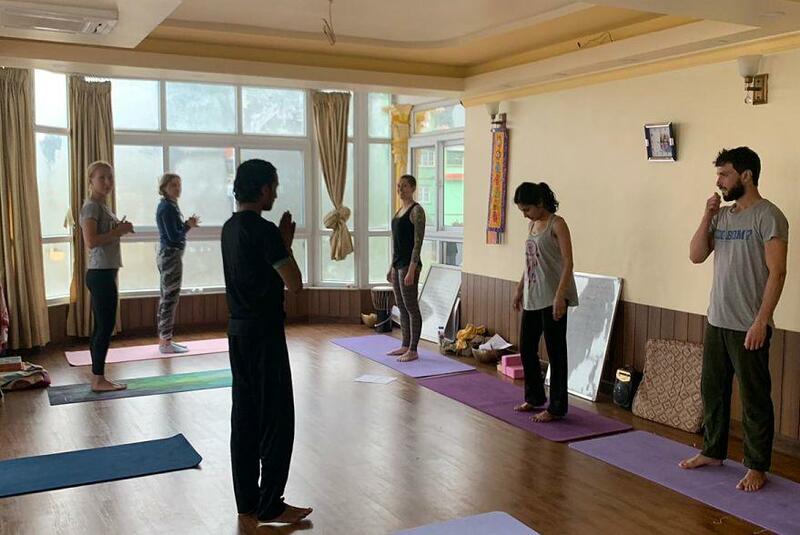 Yoga Teacher Training course teaches you both theoretical and practical aspects to eliminate the diseases, to prevent the diseases as well as to awaken the real and permanent health. One of the important needs of human beings is peace of mind. People suffer from various types of psychological problems begin in human mind. Stress, tension, anxiety, depression, forgetfulness, schizophrenia, etc. are the normal psychological problems that human beings are facing. These mental problems gradually affect physical health as well. Diabetes, High and low blood pressure, headache, migraine, insomnia, heart problems, etc are some common diseases that occur due to psychological disturbance. In fact, more than 90% of the physical diseases occur from the mind. As and when the mind becomes negative, the immunity power starts decreasing which finally tends to cause various ailments. The mind has direct relation with body. Thus it has become very important to balance and harmonize the mind to attain better health. Yoga Teacher Training course teaches the way to make our attitude positive and balance the mind. Unless the mind is peaceful, one can never be satisfied nor can he be happy in life. The pleasure of life only can be felt when the mind remains tranquil. The meaning of life can only be experienced when the mind is peaceful. Yoga teacher training helps to attain the placidity of mind. Everything we need is within us. Human beings need happiness and peace of mind while its real source is within us and yoga teacher training helps to explore it. When each individual attains tranquility of mind, the society becomes peaceful and finally it changes into world peace. Among the eight limbs of yoga, the first two limbs i.e. Yama and Niyama teach ethics and morality that is to be followed in internal life and in social life which lead a human towards a super human. The entire society starts accelerated civilization with disciplined and truthful life. The knowledge provided in yoga teacher training course leads a person in a right path which is properly managed by the nature. The honesty and sincerity taught in yogic path makes the life happy. People are unaware of their body and its working phenomena. It is very important to know our body and systems to keep it healthy and balanced. In yoga teacher training course you will learn the whole body system in the topic anatomy and physiology. Besides, you will learn spiritual aspects of your body through which you will be able to understand the body. The origin of yoga is Vedas which consist all types of knowledge through which modern development and civilization was possible. Yoga teacher training course has become an important to preserve the ancient knowledge which is the fundamental for being mankind served. Vedas are the evolutions of knowledge and source for everything. With the help of Vedic knowledge, people have become successful for all round development. Yoga teacher training course provides some of the secrets of Vedas and ways to apply its knowledge in life. Yoga consists a wide range of knowledge from the physical world to spiritual world. It not teaches the way of life in physical world but also reveals the spiritual path. Yoga teacher training course helps one to become able to understand the spiritual world. It prepares the practitioner to enter into the spiritual world and experience its blissfulness. Yoga teaches the spirituality from the base, so everyone can easily move through this path to explore spiritual knowledge. Yoga teacher training course teaches various techniques of asana, pranayama, meditation, mudras, etc which uplift human psychology and spirit for better understanding of spirituality. Due to a great importance of yoga teacher training, many people want to become a yoga teacher. Becoming a yoga teacher, you not only help yourself but also you will be able to help other for maintaining proper health. The yoga teacher training course gives all round knowledge of yoga and makes a perfect yoga teacher. After taking this course you can make yoga teaching as a profession. This complete knowledge of yoga is helpful to teach yoga throughout the world. You can even establish your own yoga center and teach yoga after completing yoga teacher training course.